With so many different Yoga clothing lines out there sometimes it can be challenging to wade through them all to find what works best for you. Well look no further! Kino has helped to design our new Magnolias line which features extra long leggings with a high waist band, shine shorts, which are perfect for those hot practices and summer days, and our ever popular twisted bra top. All of these items have been created using Liquido’s Freedom fit fabric technology, which is a super soft material with lots of stretch capability for even the most pretzel like of postures! This lightweight, breathable material has been created for yogis of all shapes and to fit as uniquely as the human being that wears them. Whether you wear these items for Yoga, running or any activity for that matter, you’ll feel comfortable, confident and capable of fluid movement in all directions. Magnolias have long been regarded as a symbol of femininity, perseverance, and gentleness. Often found in nature to be subtle in colour but strong in appearance, these flowers capture the essence of practice and truly living the yogi life. The Omstars twist bra top has been a winning item in our online shop and now you can go bold with this strappy bra featuring a keyhole design in our new Magnolia print! Perfect under a loose tank, or worn by itself, this bra makes a statement, and is anything but boring! It’s great for yoga, pilates, dancing, just about any activity, with its moisture-wicking lycra based fabric and open back. The Omstars shine shorts in Magnolia by Liquido are the perfect alternative to our leggings for the summer months, heated class and basically any activity where you’ll be sweating. These gorgeous shorts feature a super short fit, sit below the navel and feature side ties. Made from Liquido’s classic stretchy and soft Freedom fabric, you won’t want to wear anything else! Every Liquido short is unique so your pair may vary from the picture you see on the Omstars shop page. These super comfortable, extra long leggings have been constructed with a custom Poly-Lycra blend fabric that combines exceptional performance with a flattering and softened fit. Sitting snugly above the hips, the elastic-free higher sitting waistband is sinfully comfortable for all fits, athletic to curvy. 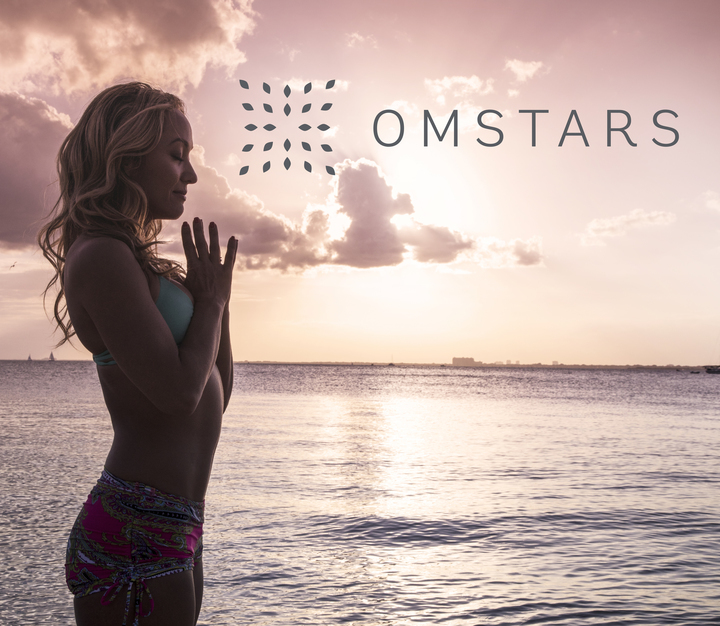 Each of our new Omstars Magnolia pieces are constructed of 90% Polyamide and 10% Spandex, silky soft fabric and with a stretch that will never let you down, allowing you full freedom of movement for your yoga practice and beyond! If you’re practicing outdoors your skin will be protected by 50+UVA/UVB built into the fabric. Even in the sweatiest of practices, your new yoga gear is quick-drying and durable and you’ll be happy to know that each item has been made with love in Brazil, sweatshop free. What are you waiting for? Log on to shop our new print — Start shopping now Omstars Shop. You can then post your pics in our new print for a chance to be featured on our Instagram page!. Use #OSMagnolia.